Adds Durable Water Repellency; reducing weight gain and maintaining breathability and insulation of fleece in wet weather. Nikwax Polar Proof® has been specifically designed and optimized for fleece garments; it leaves a flexible water repellent treatment on individual fibers allowing moisture vapour to pass through, maintaining breathability and optimizing performance in wet weather. Additionally, it inhibits pilling of fleece fabrics, prolonging the life of gear. 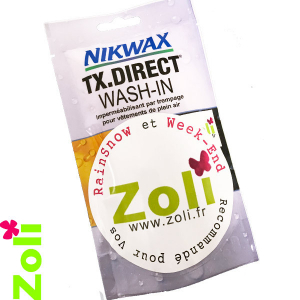 Nikwax Polar Proof® is easy and quick to apply in a washing machine and ensures that the treatment goes right through the garment. The highly Durable Water Repellency (DWR) of Nikwax Polar Proof® develops on air drying. Therefore the need for tumble drying is removed, saving energy.